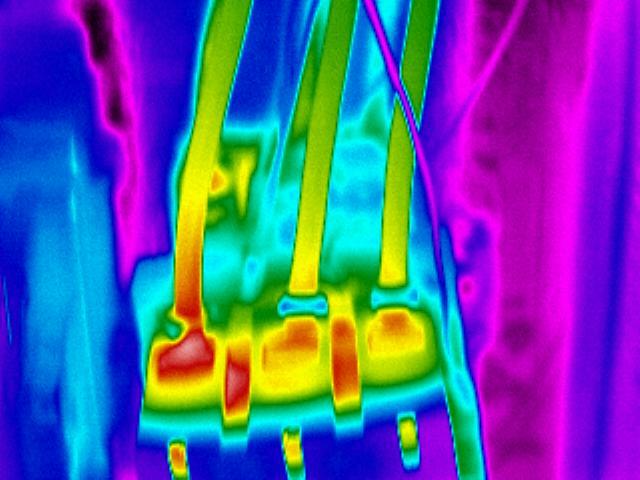 Industrial thermography: The overheating constitute the cause of 75% of faults in electrical systems, and are the cause of faults even in engines. 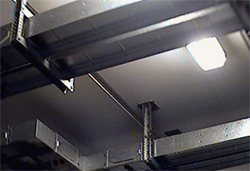 Inspections are normally conducted under load and without interrupting production. 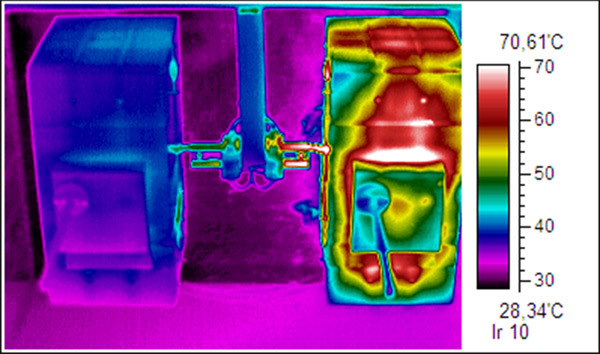 Thermographic inspections to industrial installations are in fact documentary evidence of the fulfillment of planned maintenance by UNI EN ISO 9000 on quality and the larger companies the expertise of thermography on electrical systems are often required by insurance companies to the lowering of the periodic premium. In industrial thermography, thermographic inspections will be carried out by certified technician to level 2 of EN 473 ISO 9712 method for infrared thermography. The technical standards cited require certification to level 2 to enable to sign thermographic surveys. 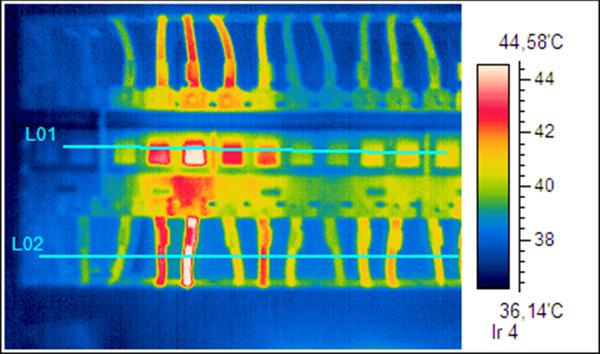 The thermograms are taken with camera microbolometer sensor with high resolution (320×240 temperature values for each image) and thermal sensitivity of 0.05 ° C. The special software provided allows a detailed analysis of the data. 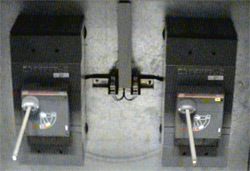 All components of the electrical systems subject to stress and degrading actions, may submit in time the decay of their structural and functional characteristics for relaxation, oxidation, overload, poor planning, lack of maintenance, faulty insulation, various, all of which lead to a applicant a resistance variation that generates the overheating of the component. 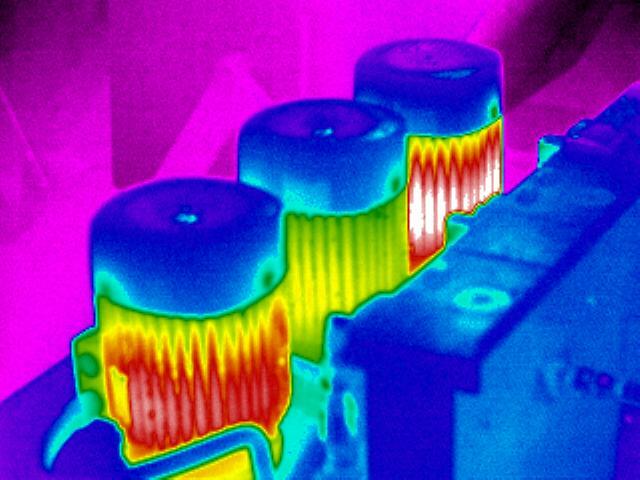 The scheduled service of infrared thermography is the only way to prevent failures resulting from such decays. Abroad thermographic inspections on plants, are widespread in the U.S. technical standard NFPA 70B Fire Department recommends the USA to prevent fires. – high voltage: overheating joints or bell clamps, oxidation of the joints, locate hot spots of fittings, locate hot spots on sleeves, locate hot spots on insulators, T-branches, rolls of barrier OC, auto drains, switches, autotransformers, disconnectors, current transformers, electrical panels, overhead lines, substations, corrosion phenomena in general, electric motors. – test equipment than the standard described in the terms of delivery. 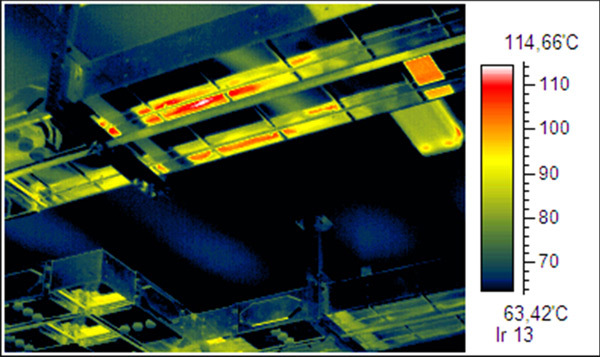 Investigation process and content of the report of thermographic inspection: The phase of computerized processing performed in the office, providing for the establishment of a technical report accompanied by certification cards to return the results. 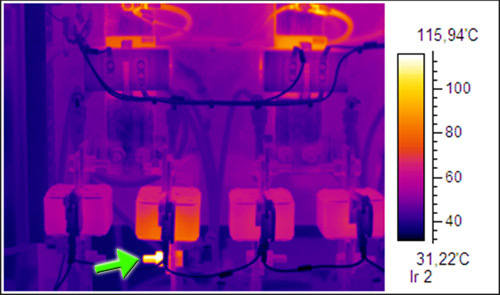 On the basis of thermal maps obtainable from the images recorded in the company, are possible qualitative analyzes of the apparatus under examination, with the aid of various software options. 1. Inspection electrical systems with research and identification of incipient failures of components in operation, accompanied by the chief electrician or department head. 2. 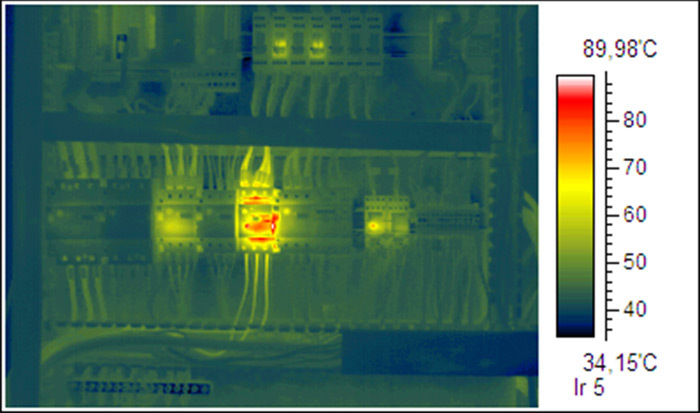 Thermal analysis detected fault and quantification of defects with infrared photos. 3. 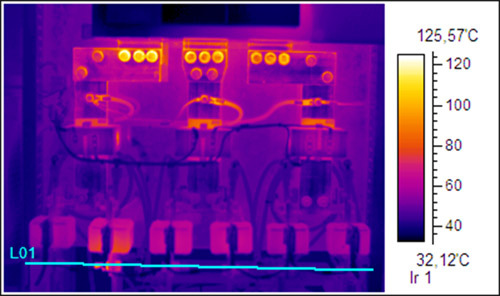 Detections of the hot component with photo shooting of the fault, the degree of overheating of the component “sick” to the current load (as reported by the chief electrician) and maximum degree or level of risk of failureo. 4. 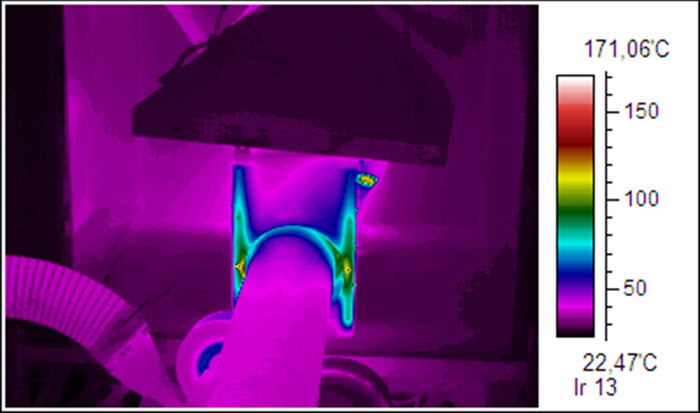 Technical report with pictures in infrared, an indication of failure, maintenance recommended for repair. Diagram of the temperatures along the line with analysis of overheating in the hot spot .